For Maria and Mona, graduation means fulfilling a dream. For Michael, it means dashing all hope of a better future. You either make the grade or you don’t – in academics or love – and that makes all the difference. Things are heating up as Maria, Mona and Michael get ready for their senior year at Monroe High in the Bronx. Maria is at the top of her class, but love is a subject she has yet to master. Mona wants to go to Cooper Union and that spells trouble for the aspiring photographer. Michael is flunking out. No matter, Michael is on a mission yet unknown to him— call it destiny or revenge. A timeless story of love and revenge, drugs and violence… Breaking free of the past to love and be loved. BX3M: Sometimes love is the endgame. Judith Escalona grew up in the Bronx, where BX3M takes place, and returned home to make this feature. She previously wrote and directed The Krutch, a surreal narrative about a Puerto Rican psychoanalyst with an identity problem. She is currently working on a new screenplay for her next film. A segment producer for CUNY-TV, Escalona is also the Founder and Executive Director of Puerto Rico and the American Dream (www.PRdream.com), the 21-year-old, award-winning website on the culture and art of the Puerto Rican diaspora. PRdream’s office was located in Spanish Harlem, where the organization launched several new media initiatives, among them the technology-based art gallery MediaNoche (http:// www.medianoche.us). 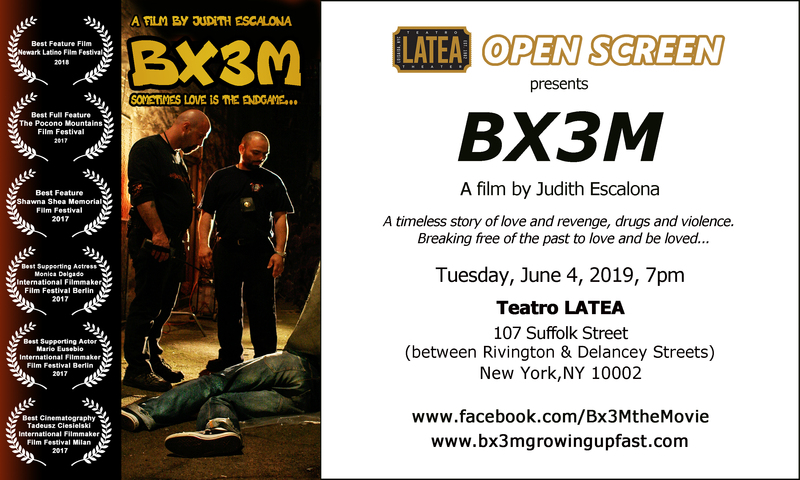 BX3M has garnered “Best Picture” awards from The Newark Latino Film Festiva 2018, Pocono Mountains Film Festival 2017, Shawna Shea Film Festival 2017. Escalona received three Communicator Awards 2012 for her work at CUNY-TV. She won First Prize in the Best Video category of the Ippies Awards 2011. New York State Senator Bill Perkins recognized her for her work in the arts. 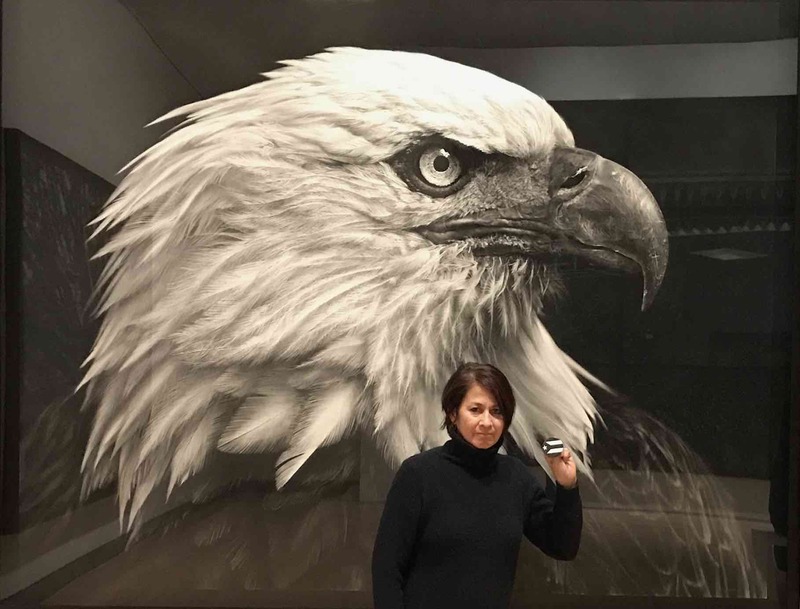 Judith Escalona received an Appreciation Award from the Center for Puerto Rican Studies at Hunter College and was designated a Distinguished Latina by El Diario/La Prensa.